Relations between Cuba and the United States hit another milestone Monday, thanks to a bunch of tourists decked out in cruisewear. 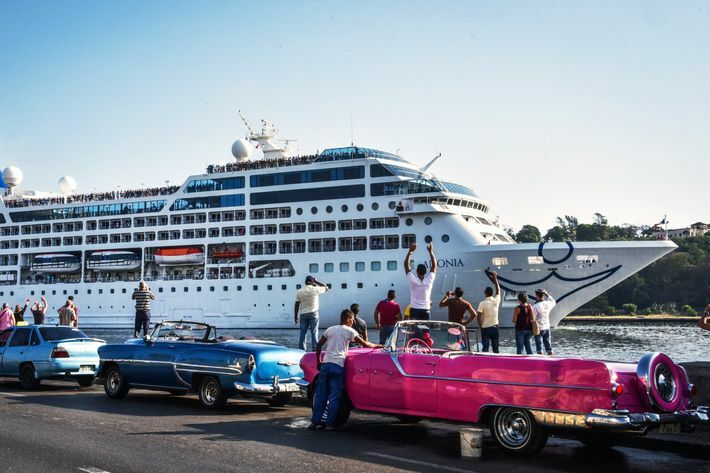 Those approximately 600 travelers were aboard Carnival-owned Fathom’s Adonia, the first cruise ship to voyage straight from the U.S. to Cuba in 50 years. The cruise ship reached the waters of Havana around 9:30 Monday morning and, per the Miami Herald, officially docked just before 10:30 a.m. The Adonia will stick around in Cuba for about a week, also visiting Cienfuegos and Santiago de Cuba, until heading back to Miami. Carnival plans to make this Miami-Cuba trip every other week at a kind of pricey $1,800 a pop. Plus, the Cuba visit must still center on educational and artistic activities, so think more Spanish lessons and fewer beachside tropical drinks. 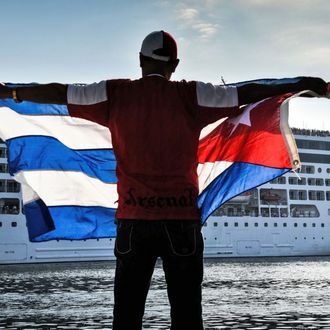 About 16 Cubans were aboard for the historic trip — another victory in U.S.-Cuba relations. Carnival at first wouldn’t let some Cubans book trips because of a long-standing Cuban government rule that barred Cuban-born people from returning to the island by sea routes. 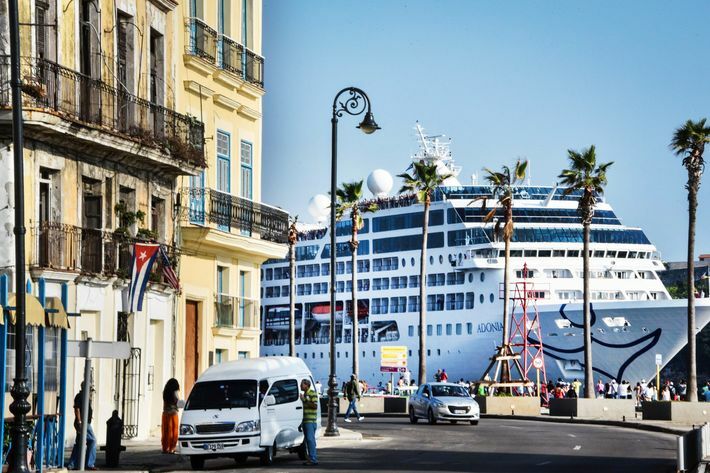 Those exiles sued Carnival for discrimination, and the cruise ship delayed its journey until Cuba changed its policies — which Havana did on April 22, when it ended the travel ban for commercial boats. Here are more scenes and selfie documentation from the U.S.-Cuba journey.